A DUI in Modesto or any other place in California can lead to serious consequences and is why it is important to have a good lawyer on your side. There are two obvious consequences when arrested for a DUI. The most immediate is loss of driving privileges. Under California law, the Department of Motor Vehicles can suspend the driving privileges or someone arrested for a DUI. This is called the administrative consequence. The other more severe consequence is the criminal consequence. Under California law and Vehicle Code § 23152(a) and § 23152 a person arrested for a DUI can be prosecuted and put in jail for up to 6 months for a 1st offense. Penalties can include prison for multiple DUI offenders or where injury occurs during a DUI. In fact, the government may charge someone with murder for killing someone while driving under the influence. DUI laws are very strict across the nation, including California. Do not delay. 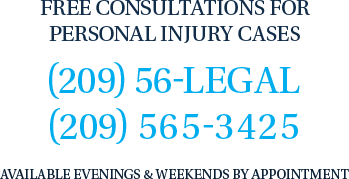 Call the a Modesto DUI attorney at the Bogan Law Firm directly at 209-56-LEGAL or 209-565-3425 to avoid immediate suspension of your license by the DMV. Although no guarantees, sometimes you can win a suspension hearing with the DMV. Without the assistance of a skilled attorney like Tai C. Bogan it will be much more difficult to win. Under California DUI (Driving Under The Influence) sometimes referred to as Driving While Intoxicated (DWI) it is illegal to drive a motor vehicle with intoxicated or under the influence of drugs, including prescription drugs and marijuana or cannabis. The most common statute used to prosecute a basic DUI is California Vehicle Code § 23152(a) and § 23152(b). California Vehicle Code § 23152(a) prohibits people from operating a motor vehicle if they are under the influence of alcohol or drugs. The law provides that a person is under the influence if, as a result of drinking alcohol and/or taking drugs, his or her mental or physical abilities are so impaired that he or she is no longer able to drive a vehicle with the caution of a sober person, using ordinary care, under similar circumstances. California Vehicle Code §§ 23153(a) and 23153(b) is a wobbler, which means the charge can be filed as a misdemeanor or a felony. If charged as a misdemeanor the maximum jail sentence that can be imposed is 1 year. If charged as a felony the sentencing triad is 16 months, 2 years or 3 years in custody and a fine up to $10,000 dollars. A DUI with injury is similar to the basic DUI with two added elements (1) When the person was driving he or she also committed an illegal act or neglected to perform a legal duty AND (2) This illegal act or failure to perform a legal duty caused bodily injury to another person. The more DUI's the person has over a 10 year period, the greater the consequences. If the person has 3 or more DUI convictions from DUI's that occurred within a 10 year periord, then the 4th DUI is a wobbler. As with the DUI with injury a wobbler means a 4th DUI can be charged as a misdemeanor or felony. In addition, if the person has a prior felony DUI in the past 10 years, then the new DUI can be charged as either a misdemeanor or felony. Call our Modesto DUI lawyer Tai C. Bogan at the Bogan Law Firm@ 209-56-LEGAL or 209-565-3425. We will speak to you confidentially about your case and how to avoid a conviction when possible. A skilled drunk driving lawyer can help you navigate the criminal and administrative process.